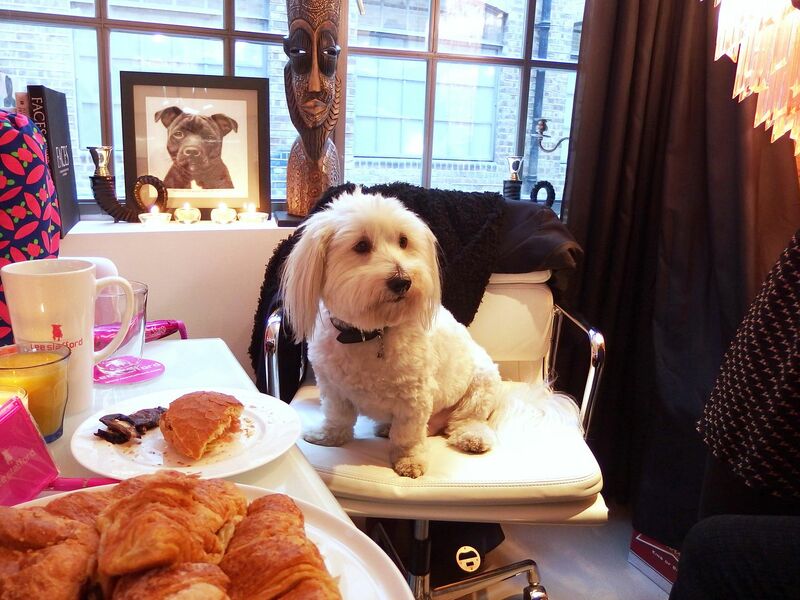 Last Wednesday I joined a few other bloggers for a breakfast with hairdresser Lee Stafford. 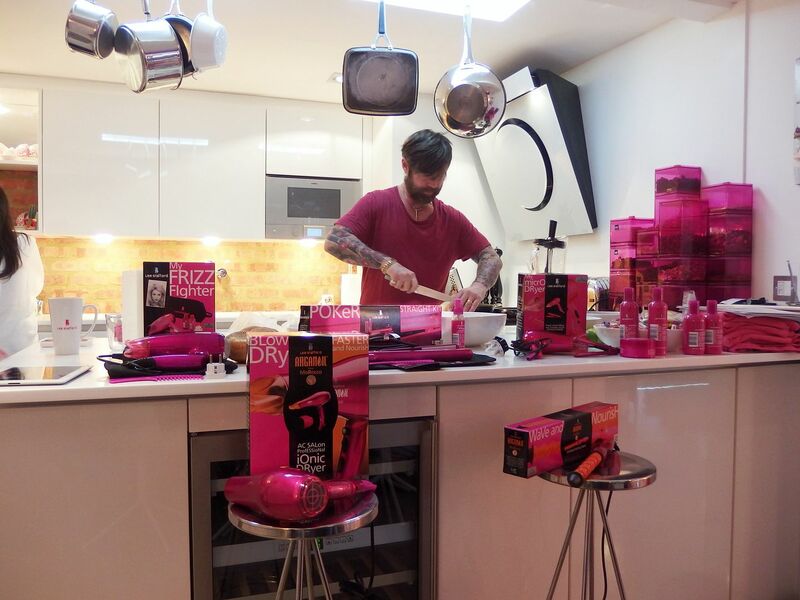 Lee had invited us to his apartment to share with us some of the new products in his line, provide us with lots of hair tips and cook up some of his famous sausages for brekkie! 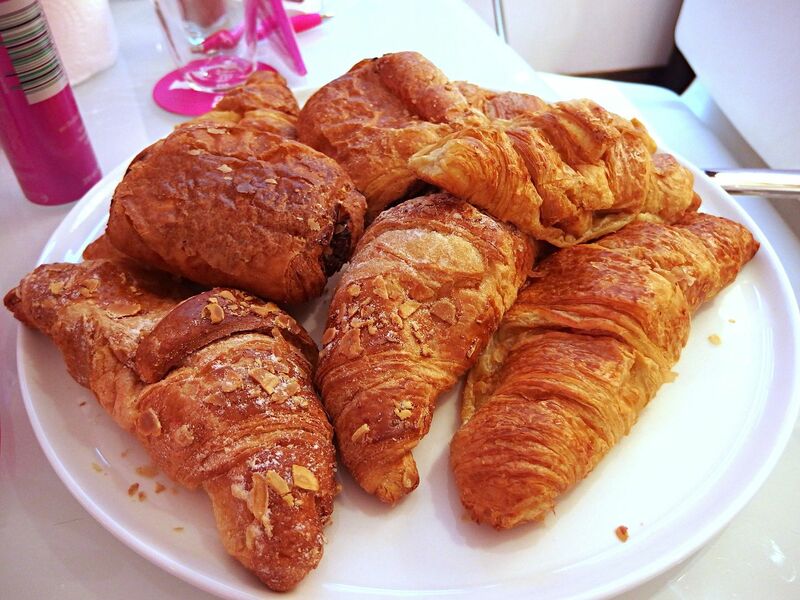 Now who is going to say no to that? 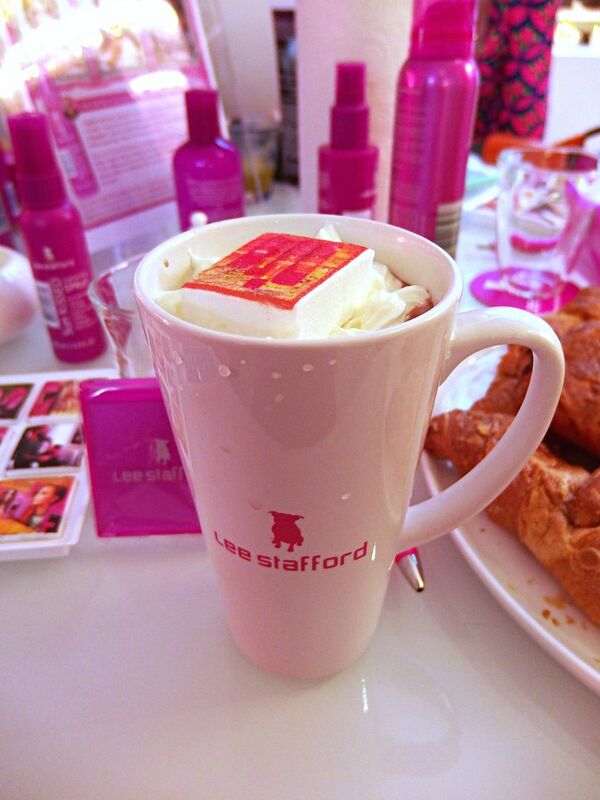 What better way to start off the day than with a sausage roll and a hot chocolate complete with Lee Stafford marshmallows! 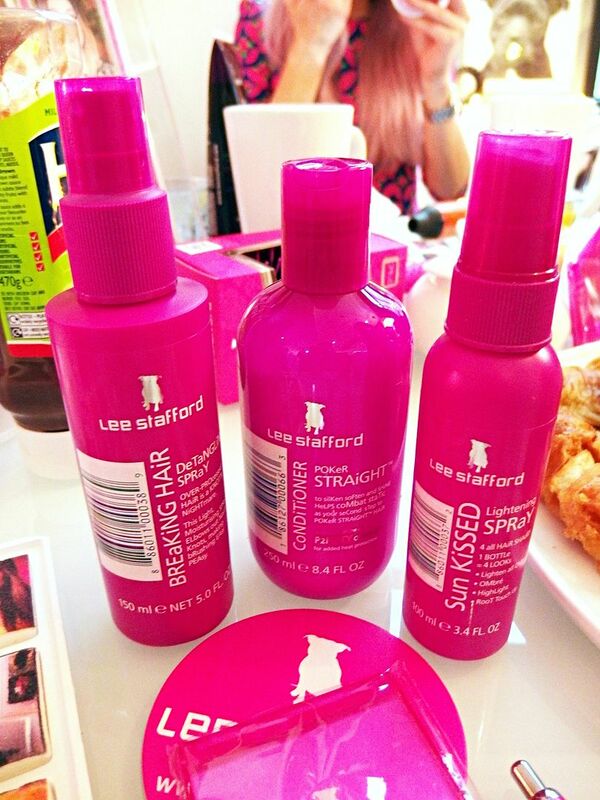 I love Lee Stafford hair products but I was surprised to see so many of them, there were ones I hadn’t even seen before so it was great to take a look and have a play with them too. Some of my favourites are the Hair Growth Treatment, Oily Roots and Dry Ends Shampoo and the Sea Salt spray. One of the latest styling tools is the Moroccan Argan Oil wave and nourish wand. The heated barrel is infused with Moroccan Argan Oil and is designed to penetrate the hair for shine and smoothness and protect against damage from heat styling and also UV damage. 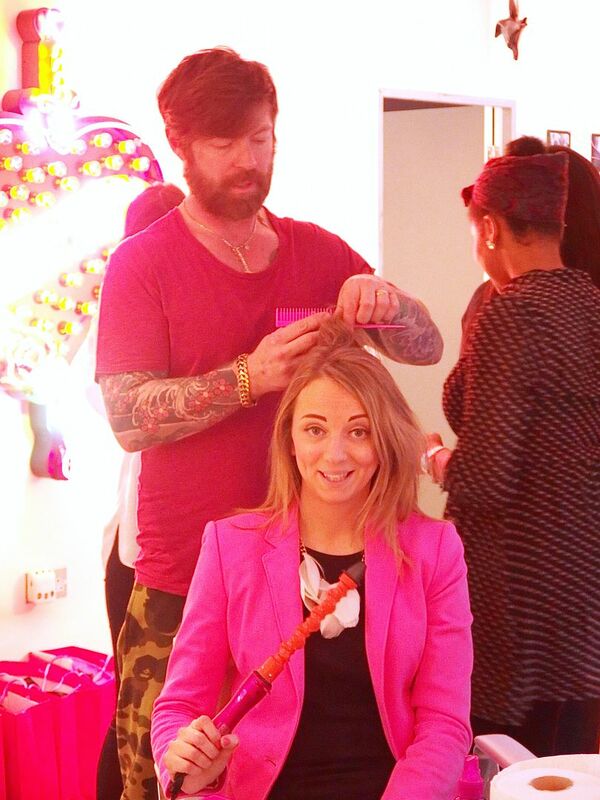 The wand has backward and forward grooves built-in to help guide the hair around the barrel for the perfect waves. I love having a wave at the bottom of my hair, but not very good at actually doing it myself so I was desperate to see if this worked. Lee demonstrated to us on my hair how to create the perfect waves and I was super happy with the result. I’ve now been trying it at home with the wand and it’s super easy, it really does help to guide the wave and keeps it smooth too. Tip: Use a salt spray afterwards to help keep in the waves! The wand is priced at £29.99 and you buy it from Argos, another plus is it has worldwide voltage so will be ideal for taking on holiday. My jacket unintentionally matched the products! 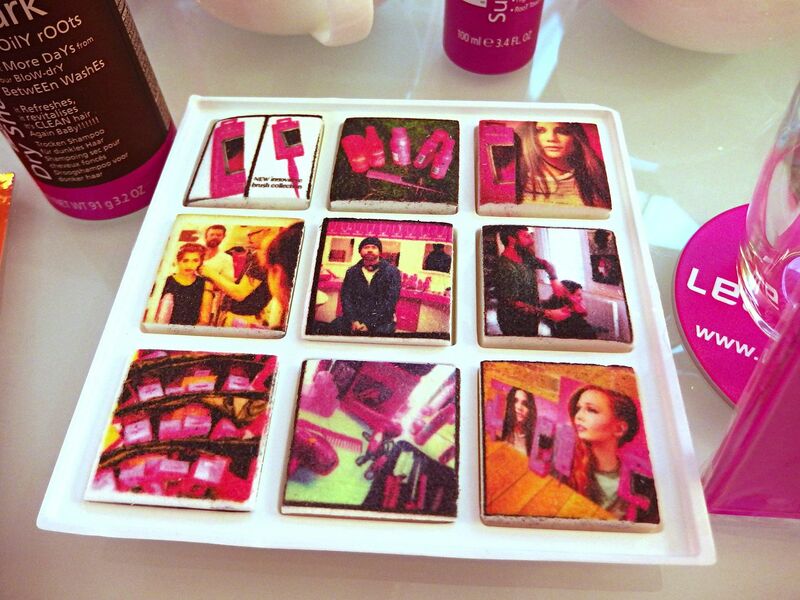 The Argan Oil range is really great if you have frizzy hair, like me. Lee has brought out a detangling comb infused with Argan Oil which is part of his new brush collection which also has an amazing backcombing comb seen above, I definitely need this! The brush range includes paddle brushes and the ‘silky smoother’ brushes which I have been using to dry my hair this week. It’s really great for helping to dry my hair smooth and creates some volume at the roots. 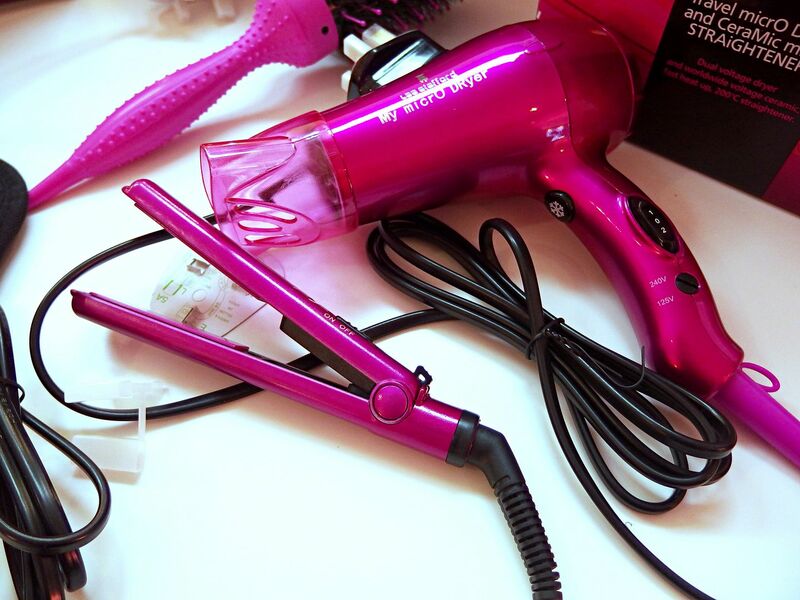 If you are travelling these mini straighteners and mini hairdryer are just £19.99 and are just the cutest and come as a set so you are totally prepared. 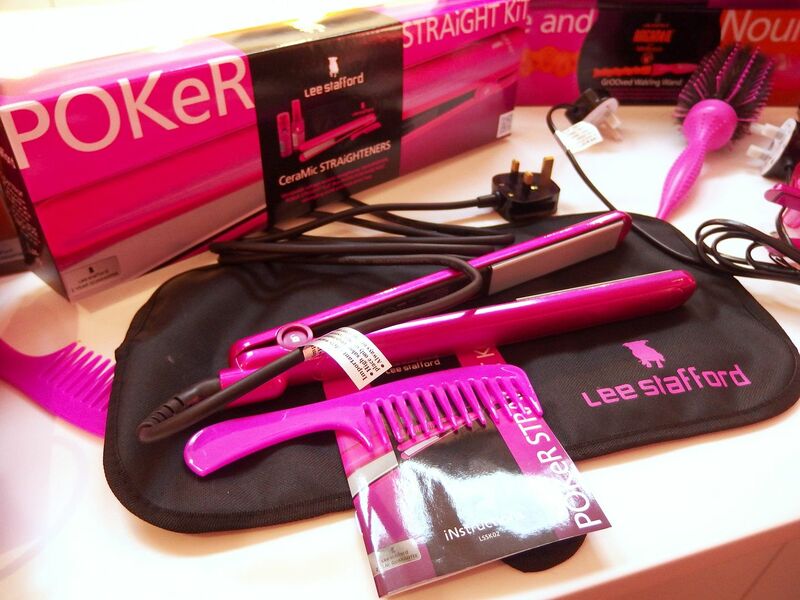 The bigger straighteners also come as a set with comb, heat protection mat and dehumidifier and shine sprays. 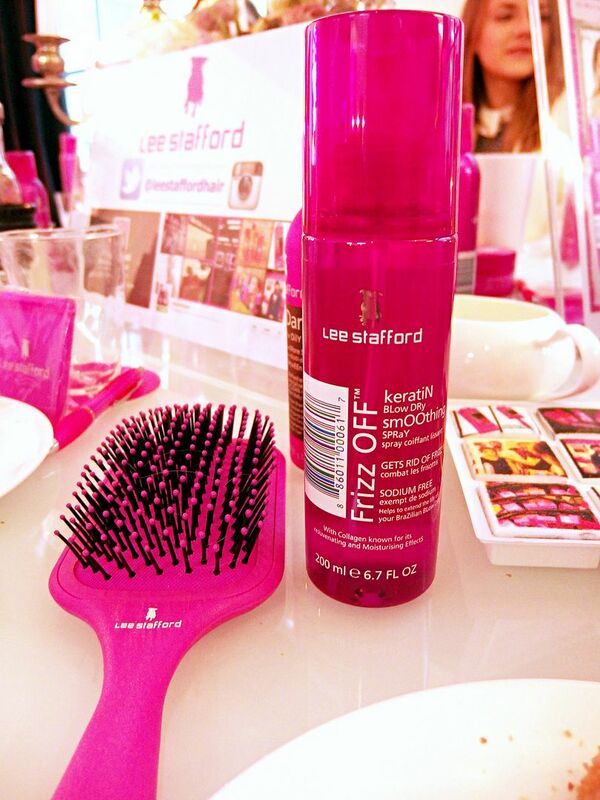 Another recent range is the Frizz-Off which includes Keratin to help keep your hair frizz free and moisturised. One thing I find the hardest is perfecting my blow-dry so it’s smooth and frizz free. I always end up straightening it to keep it smooth but would love to stop doing this so I can just add some waves instead, so I’ll definitely have to give the Frizz Off Blow Dry spray a go. Lightning spray is another interesting product, if you want Kardashian style ombre locks give this a go or use it for root touch ups.